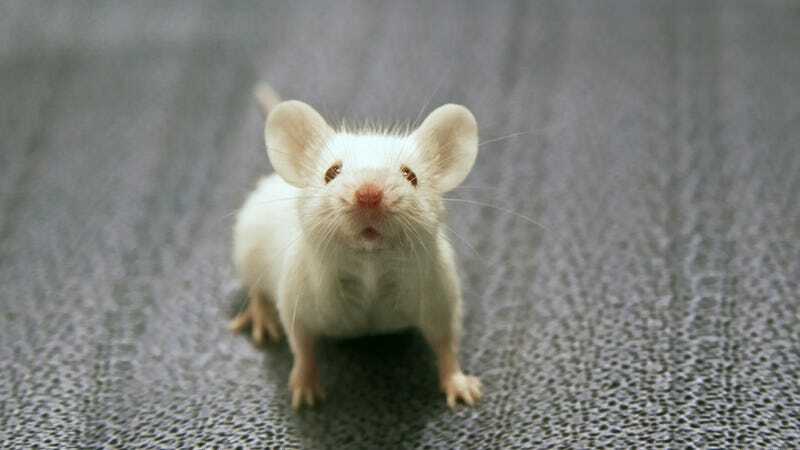 Guys, Scientists Incepted a Mouse. We're Next. I'm not one to wear tin foil hats, but that's because silver's really not my color. But I'm willing to put that aside after reading this new study (But seriously, silver does NOTHING for my skin tone). Scientists at MIT have successfully created false memories in mice, according to a study released in the journal Science. Susumu Tonegawa, Steve Ramierz, Xu Liu and their team of scientists caused mice to remember being shocked in one location when really they were administered a shock in a completely different place. Dr. Tonegawa, a Nobel laureate, presented evidence of the physical trace of a memory as identifiable in a group of brain cells as it forms and later activated by stimulation. In order to create false memories in mice, Tonegawa's team put the mice in one environment without shocking them, after chemically labeling the clusters of cells where the mice's memory was being formed. On the next day, they put them in another environment and administered a light shock at the same time they stimulated the previous day's memory cells. On the third day, the mice were re-introduced to the first environment, where they hadn't been shocked. The mice froze in fear anticipating another shock. They had been successfully… INCEPTED.